Is it possible to bypass the deposit requirement? Can I register my kids without having to create separate accounts for them? How do I handle trip participants without email addresses? What happened to all of my Documents? 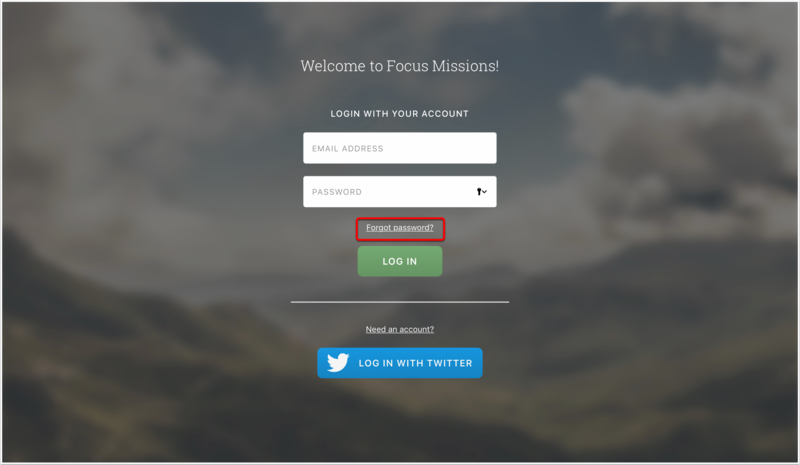 Can I manage my own account billing for Focus Missions? 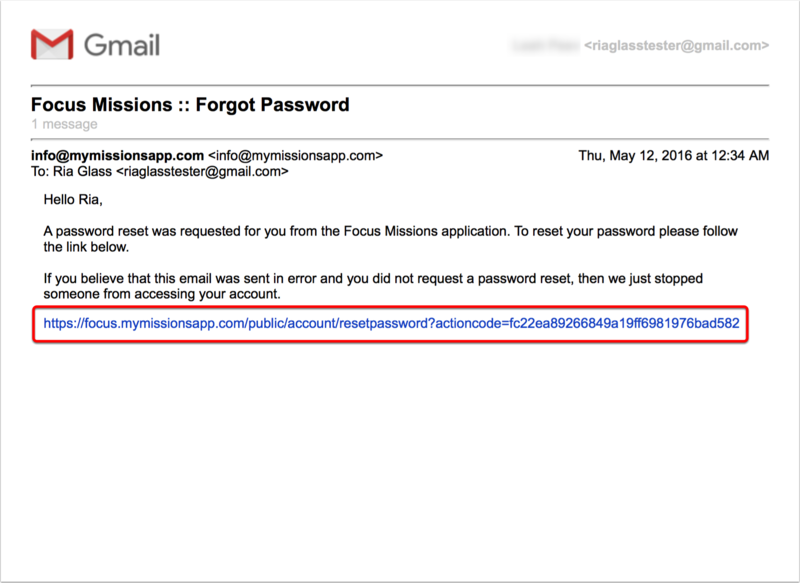 This article outlines the steps for requesting a new password in Focus Missions. 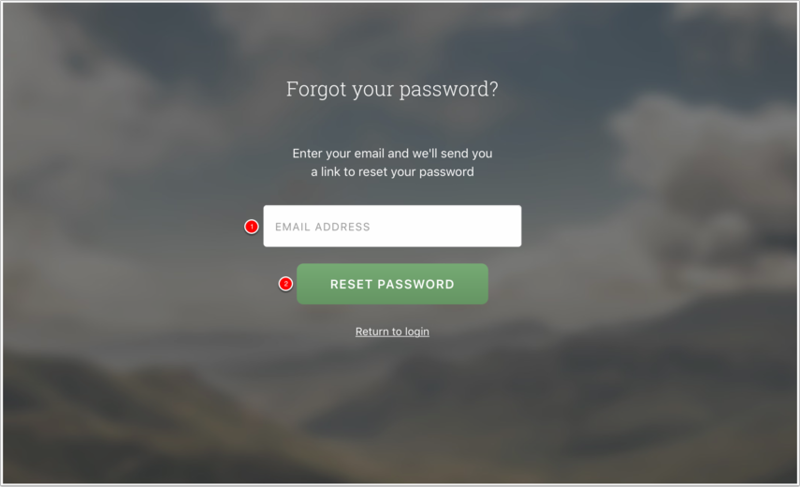 From the login screen, select the Forgot Password link. 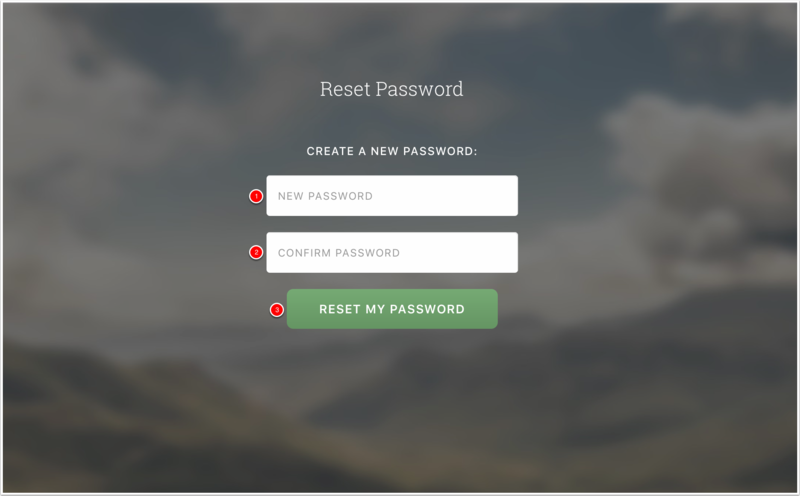 The Forgot my password screen will display. 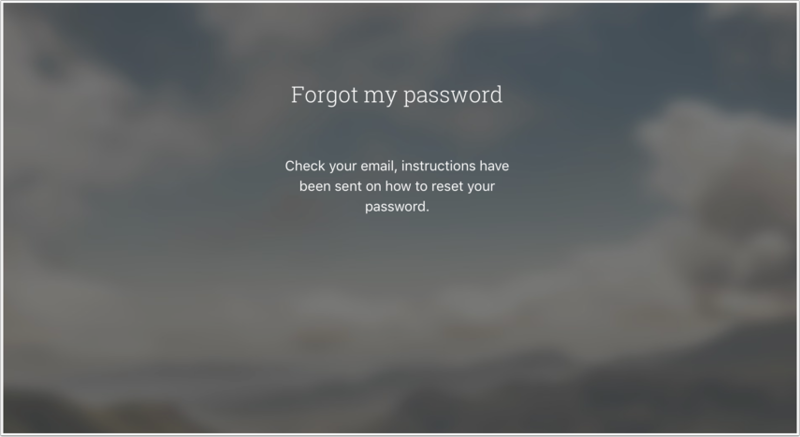 The Forgot my password screen will display with instructions to check your email for a link to reset your password. You should have received an email containing a link to reset your password. Click the link to create a new password. Click the Reset my password button. 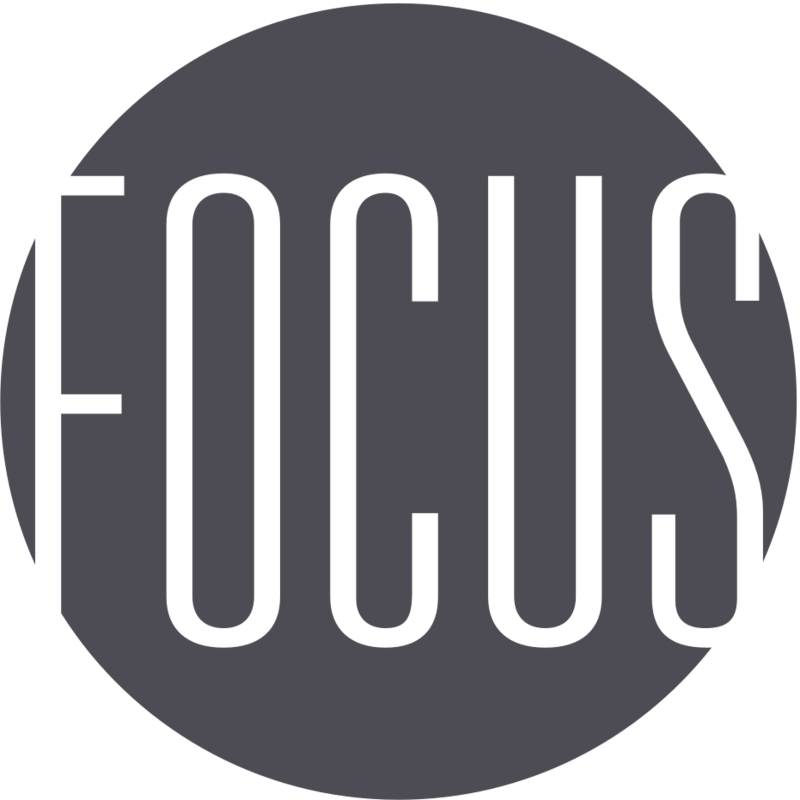 The Focus Missions Welcome screen displays.